Kelly France loves teaching 2nd graders and has done so for 32 years! She earned a bachelor’s degree in Elementary Education from Youngstown State University. She moved to Michigan in 1985 and took additional master’s level classes at Western Michigan University. 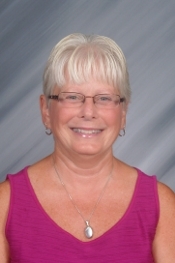 She enjoys attending Mass every Sunday and especially enjoys preparing 2nd graders for receiving the sacraments of the Eucharist and Reconciliation. Ms. France enjoys learning the history and visiting the many lighthouses in Michigan. Ask her which is her favorite! The best way to contact Ms. France is by email at kfrance@hsparish.org. This year will be super for your second grader. They will be making 2 sacraments this year. Reconciliation will be celebrated in January and First Holy Communion will be celebrated on the first Sunday in May. We have a lot of fun things going on this year.